When ever you put a large engine in a motorcycle frame the term Super Bike is used. 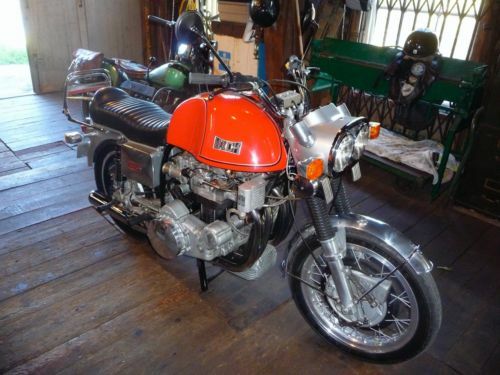 This was the case when Friedel Münch put a NSU car engine into a Featherbed like motorcycle frame in the early 1960’s. 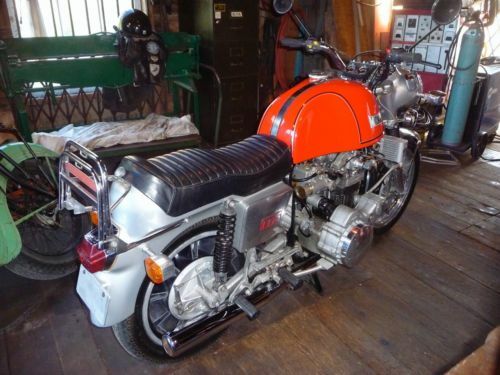 Called the Mammoth; what else would you call it with a HUGE 1200cc and later 1400cc lump of an engine. The proportions are such that any NBA center would look comfortable sitting on it, but your average human would look like a child. This 1971 Mammoth is now on eBay. Ex David Manthey collection. This is a very reluctant sale. I purchased this bike a few years ago at David’s estate sale. 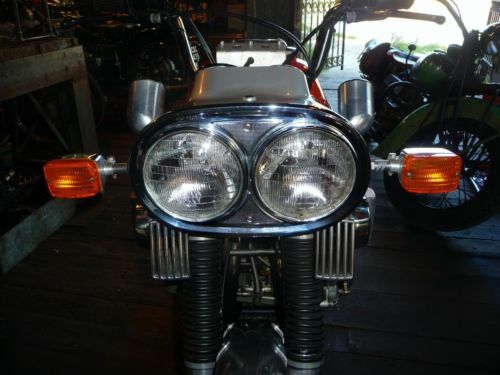 This was the pristine example from his collection that he chose to take toCaliforniafor “The Legends of the Motorcycle” . It has some optional gauges not seen on other Münch as well as the magnesium double headlight which on stage 2 bikes was an option. I am the third owner. The original owners book and UStitle and Canadian import papers are included . There are a few maintenance spares with the bike. It runs great everything works with great oil pressure. 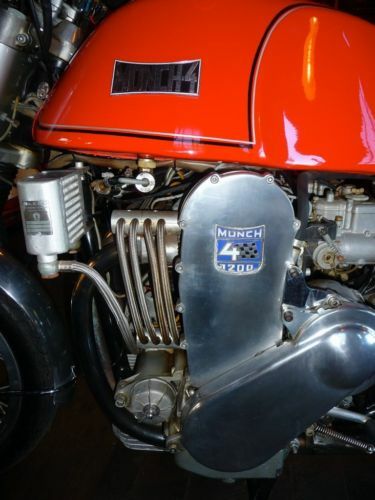 Friedel Münch was a motorcycle racer and later tuner who’s first steps into producing his own machines was purchasing the parts inventory and tooling from the Horex motorcycle company when it went out of business in 1958. Friedel was already know for the huge magnesium Münch front brake he had developed for racing, but soon moved to complete motorcycles. NSU was producing an air cooled engine for its Prinz cars, and the 1200cc and 88hp at 6000rpm was inspirational to Friedl. 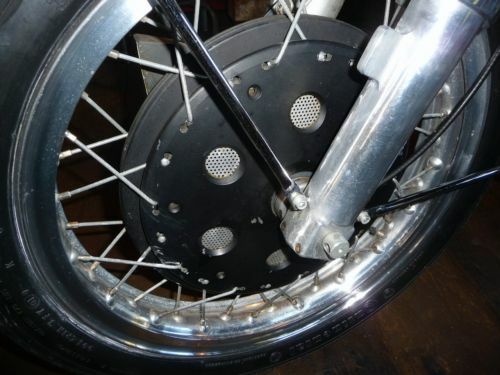 But it also developed so much torque that a cast rear wheel had to be developed. After the prototype was constructed and Münch was able to get some good German press, he was able to secure orders to produce the first 30 Mammoths in 1967. 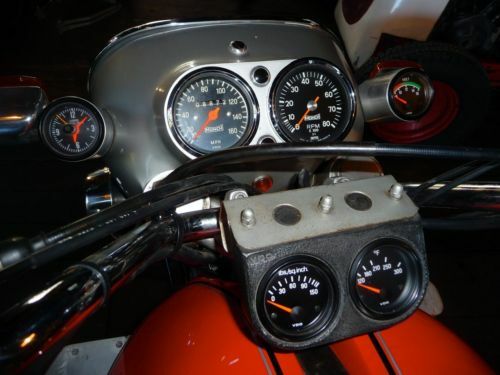 The series 1 and Series 2 Münch’s were helped along by former Harley and Indian racer, and later magazine and manual maker Floyd Cylmer. Always the wheeler, dealer Cylmer was also able to have Friedl develop a new flat head engine which Cylmer used in and attempt to resurrect the Indian brand. Some bikes look better and better with age, but not this one. It has looks only a long haul trucker could love. Look at the bike, look at the price, look at the bike, look at the price: Did you laugh out loud? Okay, that was a bit harsh and rude. Maybe I should go and see the new French movie “Mammuth” starring Gerard Depardieu. They seem like a perfect match.